Moya ní Dhúagáin is a final year Drama student at Queen's University Belfast. 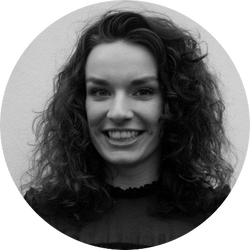 Moya speaks both Gaeilge and English fluently and upon graduation hopes to pursue a career in costume design and manufacturing. The Irish language and culture are a huge part of her life and something she tries to incorporate into all aspects of her life, so she was delighted to be able to help Smash/Cut with this incredible work! Matthew Cavan is a theatre and drag performance artist. He’s worked with TheatreofplucK on productions both in Belfast and London. As an artist, he focuses on the intersection of activism and performance concerning HIV. He is currently a resident performer at the Cabaret Supperclub and Maverick Bar in Belfast, Northern Ireland. Zach is a The biggest export to come out of Northern Ireland since Harp! A lesbian comedienne with a twist. 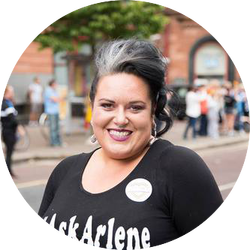 Gemma Hutton is a performer based in Belfast, Northern Ireland with residencies at the Maverick Bar as the emcee of the Sunday Service drag show and the Cabaret Supperclub as a stand-up comic. A graduate of the Queen's University Belfast's drama program, Gemma has created multiple solo-performance pieces with various theatres in the Belfast area (TheatreofplucK, OUTburst Queer Arts Festival, Belfast Pride, and The Black Box). As a comic, Gemma has worked with BBC1, Funny Women UK, and at the Edinburgh Fringe Festival. Zach is a junior in Performance at Louisiana State University’s College of Music and Dramatic Arts. His previous credits include playing Ethan’s Dad in Based on a Totally True Story, Assistant Stage Manager for Dreamwalker, and Stage Manager of Admissions for LSUs Laboratory Theatre. He has also worked as a projection operator for Swine Palace Regional Theatre.